There’s no denying it: running a large-scale warehouse can be a costly business. From your staff to the equipment, there’s a lot to pay for, which is why it’s critical for warehouses to run as efficiently as possible. One of the most important responsibilities of warehouse managers is the optimization of the space to both increase the quantity of stock that can be stored and to ensure it can be located and moved safely and effectively. This requires innovative thinking, logistical knowledge and new technologies. 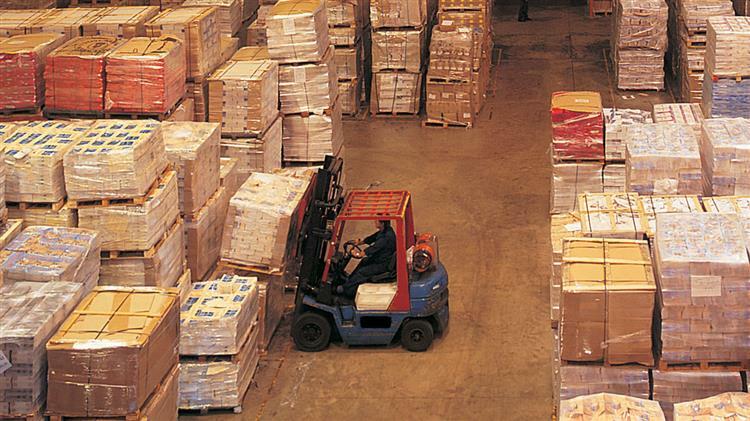 Following are four ways to maximize your available warehouse space. Floor space in a warehouse is almost always defined by the aisles that house the stock. If your aisles aren’t properly optimized, this could be costly to your operation. It’s simple: removing wasted space from the equation allows you to increase the number of aisles and therefore the number of pallet racks, which means you can house more overall stock. Depending on the size of the racks and products you stock, reducing the aisle width from 12 to 6 feet could increase your storage space by up to 50 percent. When determining the optimum aisle width, there are a few factors to consider. The forklifts you use can be the biggest hurdles to narrower aisles, as larger models may not fit comfortably into the reduced space or have enough room to carry out processes properly. You must also think about any floor staff who might be in the aisles. It’s for this reason that the optimum aisle width will be different for each operation. Be sure to accurately measure the dimensions in your warehouse and think through the different aspects that need to fit into each aisle. Cross-docking allows a warehouse to minimize its use of storage by receiving, sorting and scanning inbound stock in a cross-docking terminal, and then loading this stock onto outbound trucks and vehicles without storing it in between. This means that stock won’t be stored unnecessarily between the legs of its journey and can instead be quickly sorted and put back into the distribution chain. While this logistical technique can be tricky to manage, it can save a lot of space if you are willing to invest in the necessary resources. If floor space is tight, it’s probably time to explore your upward options. Modern shelving systems offer vertical storage that can drastically improve your overall capacity, whether you extend up by 1 foot or 10 feet. Before you add more tiers, always consider how stock at higher levels will be transported. Ensuring you have the capability of delivering, locating and removing stock from all rack tiers before installing them will eliminate the risk of a last-minute surprise when you realize your forklifts don’t reach that elevation. Inventory management is critical, and if you’re overstocking items that haven’t been purchased, it can take up space that could be used for goods due to be shipped sooner. Instead, make use of offsite storage and reserve the primary warehouse for fulfilling orders already made. This will enable you to streamline your operation by separating your total stock into more manageable and locatable groups. Alternatively, many suppliers will offer warehouse space for overstock, especially when it comes to packaging materials. More often than not, they will be happy to store them at their site for you and deliver them in weekly shipments, which means you can avoid excess stock and materials sitting unused for extended periods. In addition, you may be able to increase or decrease your incoming orders from them, which gives you greater flexibility on a week-by-week basis. Remember, no two warehouses are the same. With different requirements for different types of stock, logistical considerations for deliveries and a variety of shapes and sizes to consider, optimizing your warehouse space is no easy task, but it is an important one. Moving to a new space or purchasing additional storage can be expensive, which is why it’s crucial to make the most of what you have available. Put these ideas into action today to get started. Simon Mitchell has managed successful companies in Europe and the United States that are focused on delivering exceptional value to clients. He currently serves as the managing director for Action Storage, which offers a diverse range of storage products as well as technical expertise to help businesses operate more efficiently.